Bedeschi has been contracted by Dimisa Mexico for the Blue Dolphin Power Plant expansion project located in Mejillones, Chile. The final customer is ECL, one of the Chilean power utility market leaders. and travelling stacker with a 55-tonne boom and with a stacking capacity up to 3,000tph (tonnes per hour). 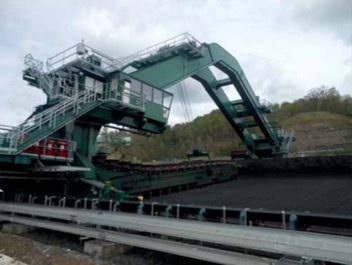 The reclaimer is considerable: a double boom blade portal reclaimer with a capacity of 1,500tph and a 67-metre rail gauge. All the system will be in accordance with the Chilean seismic rules and Class II Div I hazardous area rules.